In 2017, 54% of adults in the US had suffered neck or back pain for five years or more. Back pain is something that affects millions of people every year. And in some cases, the only solution is to turn to surgery. Back surgery can help to alleviate the painful symptoms. But as with any invasive surgery, there will be a lengthy recovery period. There are steps you can take to minimize the length of your recovery, however. So read on as we take a look at seven practical tips to have a speedy recovery from back surgery. The first and most important thing you should do after any type of surgery is to listen to your doctor’s advice. Your surgeon will have a great deal experience with people recovering from the same surgery that you have undergone. They will also have years of medical training. They will be able to provide you with a plan for your recovery, with realistic expectations of the path your recovery will take. Make sure that you follow that plan to the letter, and don’t try to take on too much too early. You could find that you end up setting your recovery back. Even if your surgery was intended to reduce your pain, your recovery is unlikely to be completely pain-free. There are steps you can take to help minimize the pain following back surgery. Pain medication is the most obvious, but should only be taken as prescribed by your doctor. Hot or cold packs can also help to reduce pain but make sure that you do not get your surgery site wet until it is safe to do so. If it is recommended that you wear a brace, this can also help to reduce pain. Your surgeon should advise you what to expect in terms of pain after your surgery. If you are experiencing pain outside of their expectations, then you should contact your doctor. Recovering from back surgery is all about giving your body the best chance to heal. So make sure that you do as much as possible to take the strain off you back within your daily life. Making simple changes to your home can really help to speed up the healing process. For example, try moving your bed to the ground floor to minimize the number of stairs you need to climb each day. Consider using a raised toilet seat to reduce the strain on your back, or a commode if your bathroom is not on the ground floor. Bath seats and reacher grabbers are also very useful items to use during recovery. Getting a good night’s sleep can really help to speed up the recovery process. Sleep not only helps your body to heal but will also keep you feeling positive and motivated throughout your recovery. But getting the right amount of sleep can be easier said than done when suffering from post-operative pain. Try to set yourself a regular sleep schedule so that you go to bed and get up at the same time every day. You can also make use of pain medication before bedtime to help you be able to sleep more easily. Whilst you are recovering from your surgery, there will be a lot of tasks that are beyond you. This is where friends and family can play a huge part. Simple errands such as going to the shops or cleaning the house can be a challenge when you’re recovering from back surgery. If your friends or family can help out with these chores, it will make your recovery both easier and quicker. The most important thing to do is ask for help. If you don’t, you are robbing your friends and family of the opportunity of helping you when you need it most. You may be required to do physical therapy as part of your recovery plan. If this is the case, it is likely that you will be given some exercises to do in your own time at home. It is vitally important that you follow the regime that your doctor has set out. You may think that skipping a few session won’t do much harm. But it is likely to delay your complete recovery from your surgery if you don’t follow the plan properly. The types of exercises you do, as well as the intensity and duration, are likely to change through the course of your recovery. Make sure that you are doing the right exercises at the right level of intensity if you want your recovery time to be short. Whilst you are recovering it is important to give your body as much help as possible. That means trying to be as healthy as you can. Eating properly will provide your body with the fuel and resources it needs to help you recover. Fresh fruit and vegetables are a must, as are foods that are high in protein. Try to steer clear of any junk food for the duration of your recovery. Drinking and smoking should also be avoided whilst your body is healing. Studies show that smoking can slow the rate of bone healing. And alcohol could be a dangerous mix when combined with your pain medication. Finally try to exercise as much as you can, within your doctor’s recommendations. Excess weight is one of the key factors in causing back pain in the first place. If you’re considering back surgery then we may be able to help. 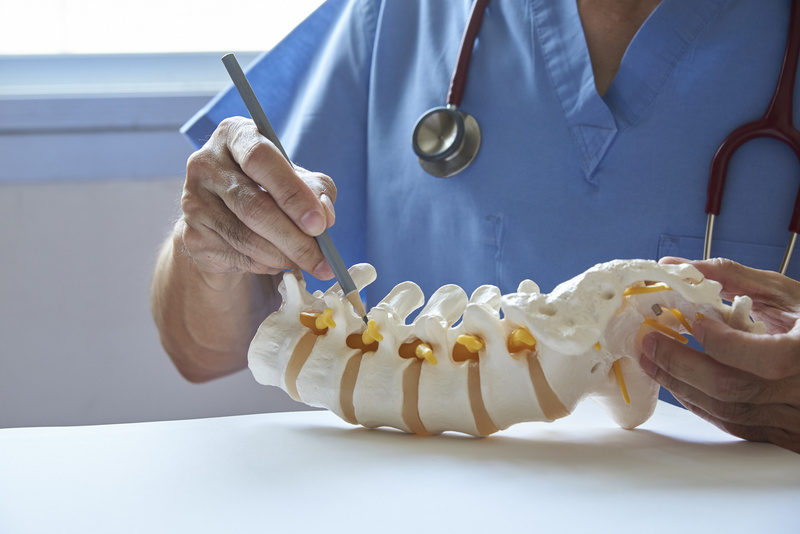 We perform minimally invasive spine surgery that has several benefits, including less post-operative pain, less soft muscle and tissue damage, and reduced risk of infection. We can treat conditions ranging from sciatica and herniated discs to bone spurs and arthritis of the spine. We also offer pain management procedures to help alleviate chronic back pain. We have locations in both Hackettstown and Newton. Contact us today to book a consultation.